Party Bag UK - Razamatazz's party bag. 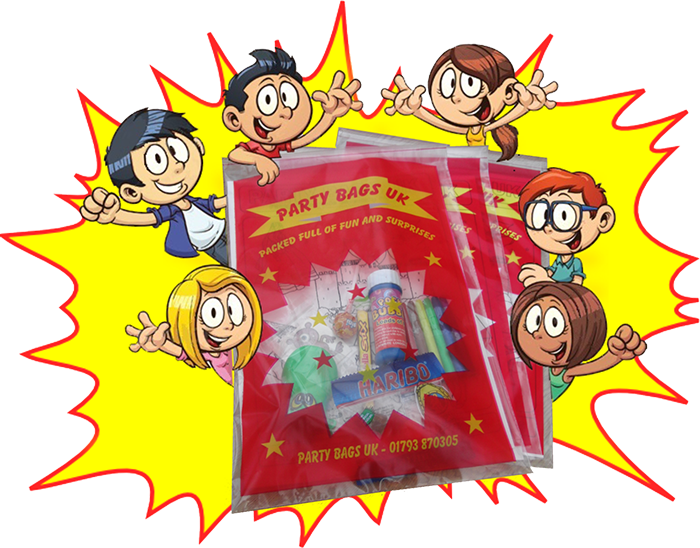 Razamatazz value for money economical party bags are giant A4 sized colourfully printed and resealable so the contents can't spill out on the journey home and if you want you can open the bag pop in a slice of wrapped birthday cake and reseal. Why do our bags have a viewing window? No child can resist the chance to see what is in a party bag but unfortunately most of the contents end up either lost or scattered across the floor before they even get out of the door. 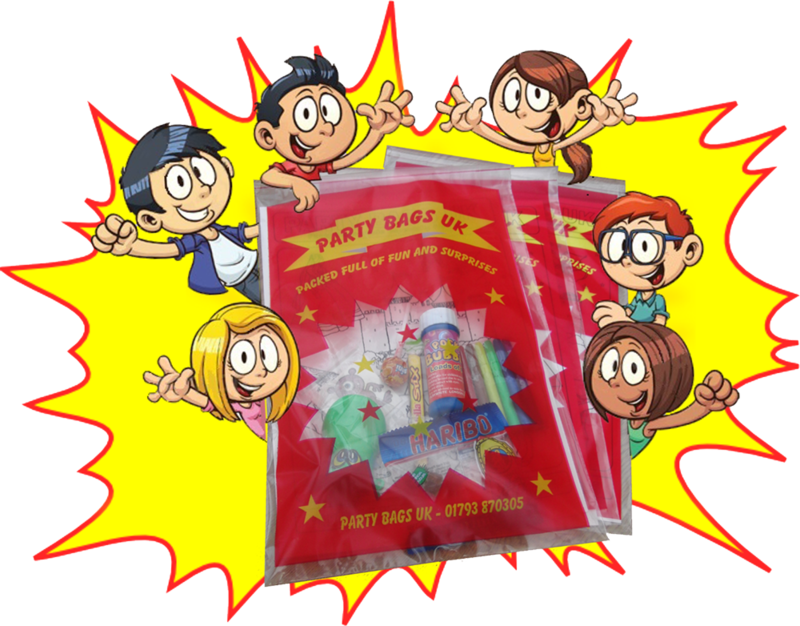 With our special party bag there is a clear window on the front so that the contents can be clearly seen, therefore, no need for the child to open the bag to see what is inside prior to leaving the party. This stops a lot of party bags being opened and spilled before the child gets home. We can deliver in the Swindon area and small delivery charge for other local areas or postal charge for sending through the post. 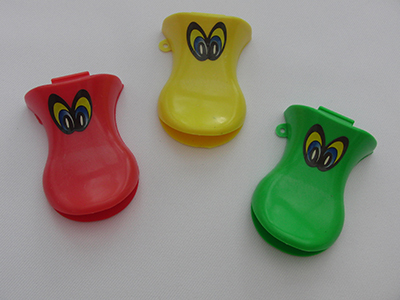 All novelty toys included are CE marked (Safety Trademark) however are not recommended for under 3 years old and all sweets are branded and are sealed (Chupa Chup Lollies, Haribo Sweets, etc). Contents may vary depending on availibilty but will always be to the same high standard ! Razamatazz can provide party bags with no fuss or hassle !!! 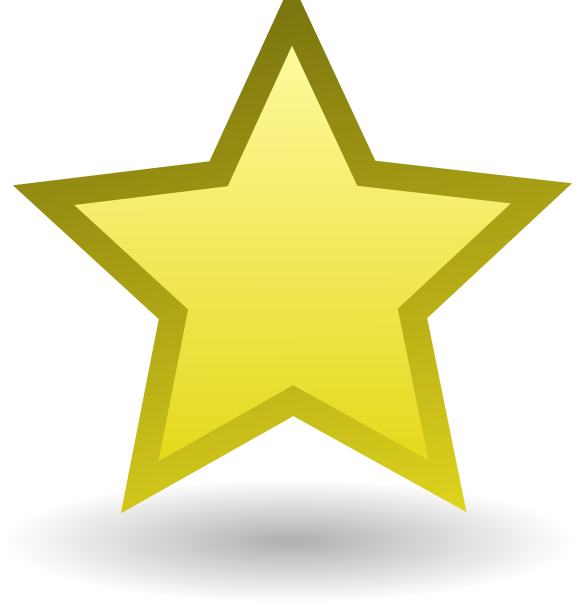 Arranging children's birthday parties can be a stressful time for parents with many things to organise and invitations to send. Then theres the food to arrange plus games and any entertainment and finally the going home party bag !!! 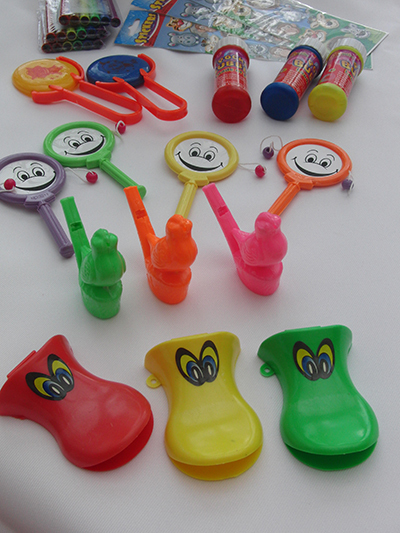 The traditional party bag is now expected at any birthday party. There are a few different options for mums and dads to consider like ready filled party bags from party stores etc, but can get quite expensive with very little in them, or you can choose to make your own. This is probably a little cheaper but very time consuming and can be difficult to track down good quality, safe items to go into them. And that's not forgetting you have to buy the bags themselves. So what's in the party bags? We have tried hard to make each bag as cheap as possible without losing quality and we have done all the hard work in sourcing safe fun items to go into each one for you. So how do we decide how much to put into a bag ? We have just about enough items to make the bag fun to search through without making it too costly. Many parent spend way too much . Yes we could of filled the bag up to the brim with lots more items but the price would of been a lot more and would be just a waste of money. All that is required is a good bag with a few quality items it does not have to be crammed with items. A good quality large A4 sized plastic party bag with viewing window. A large double sided colouring in sheet with lots of pictures to colour in. 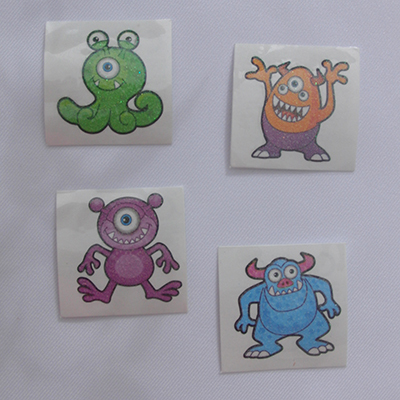 Pack of 6 felt pens in a plastic wallet or crayons etc. 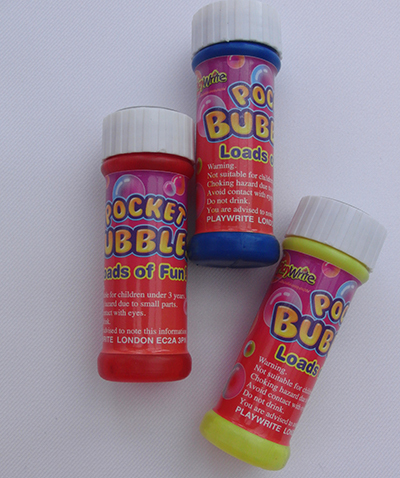 A selection of three fun novelty toys like animal stickers, bubbles etc. A selection of 3 branded sweets lolly, chewy bar and a small bags of sweets. Great Value economical bag !!! Also available vegetarian and gelatine free bags !